Applying for the Sunoco MasterCard Credit Card is simply done and can be more easily accomplished if you prepare by having all of your important information at hand. 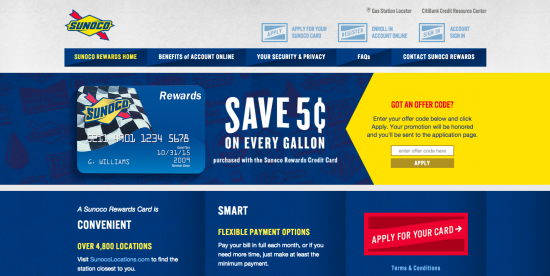 The Sunoco MasterCard Credit Card is convenient for those who would like to pay at the pump and pay for their gas online at a more convenient time. Step 1: Go to This WebPage. 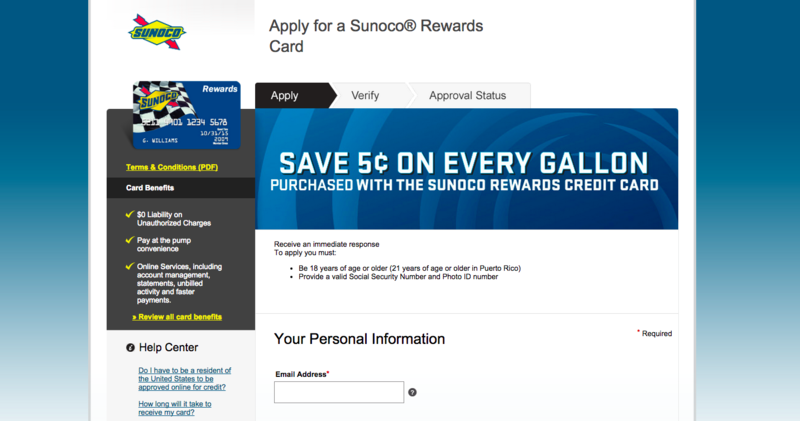 Click on the blue and white “Apply for the Sunoco Card” link towards the center of the page at the top. 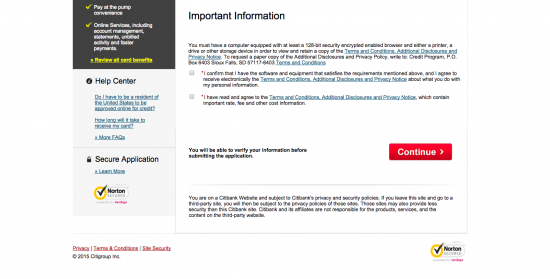 Step 2: You will be redirected to a new page where you may begin to enter your information. 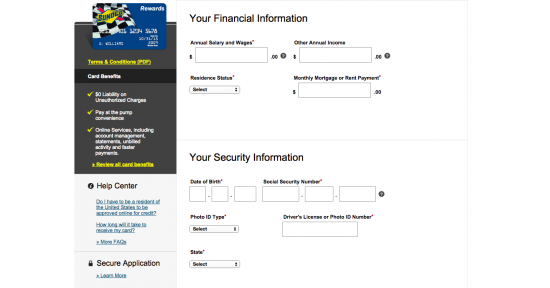 Step 4: Enter your financial information and your security information. For security purposes, enter your date of birth and your social security number. 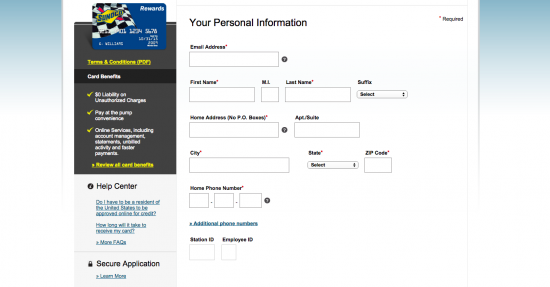 Choose a type of ID to verify your identity and enter its associated state and number. Step 5: Decide whether you would like to add an authorized user of your Sunoco MasterCard Credit Card. This person can make purchases but is not responsible for balance payments. Next, decide whether your would like to receive paperless statements. Step 6: Confirm that you understand the Terms and Conditions and that your computer meets the listed technical requirements by ticking the boxes. Finally, click the red “Continue” button at the bottom right. Your application is complete. 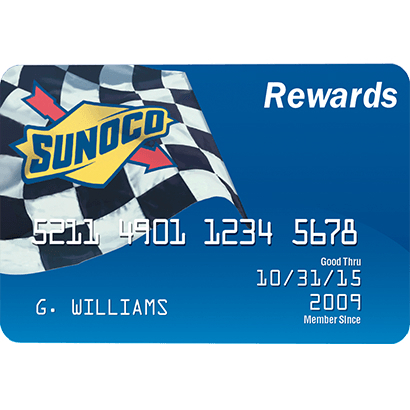 If you are deemed eligible for the Sunoco MasterCard Credit Card, you will be notified on the next page.